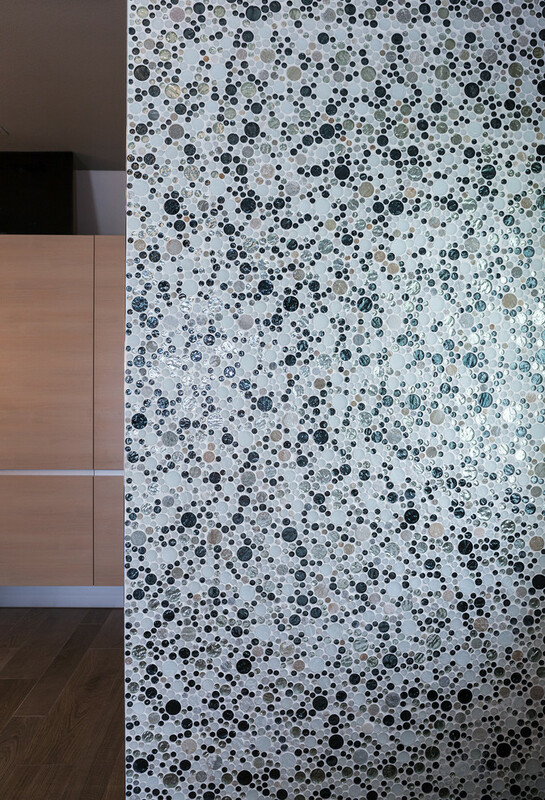 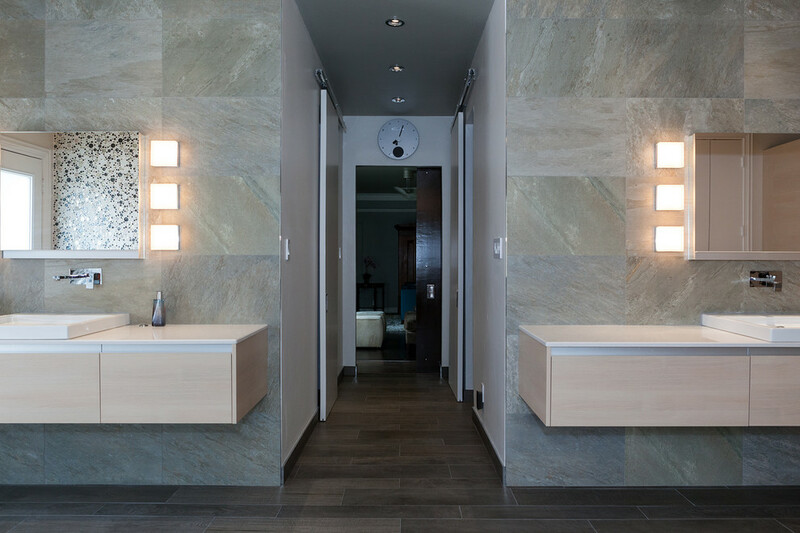 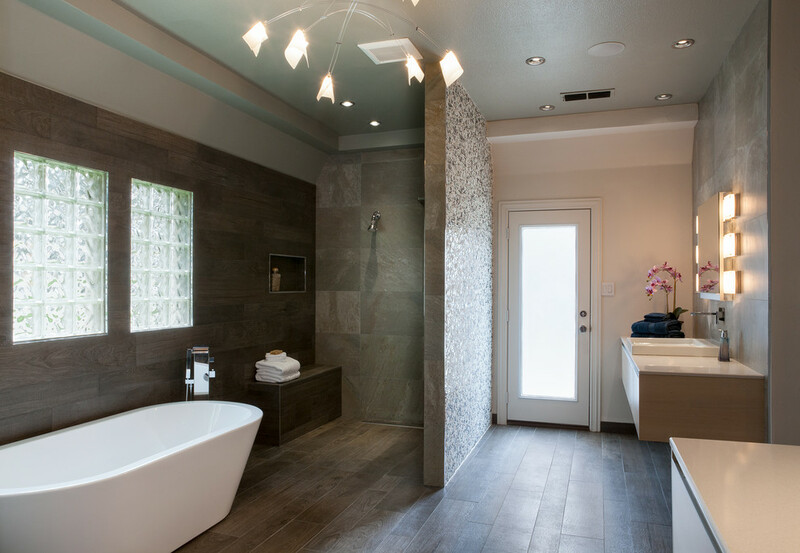 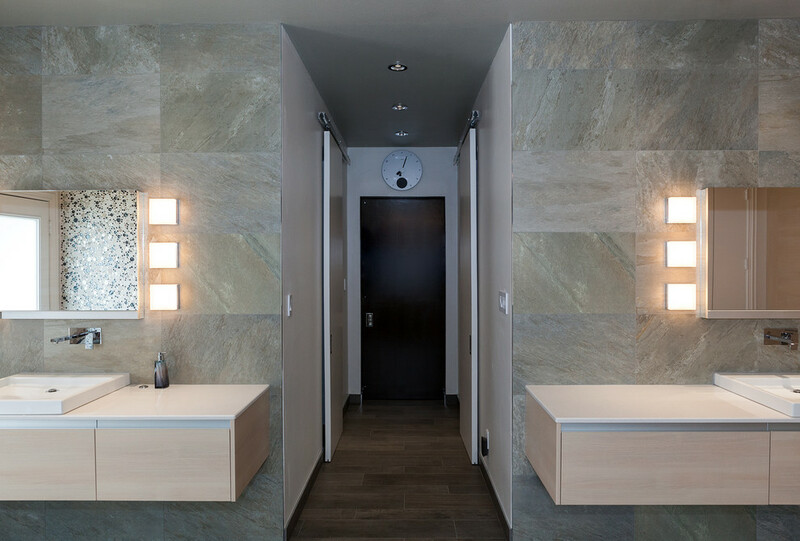 This elegant bathroom soothes the senses with spa-like qualities. 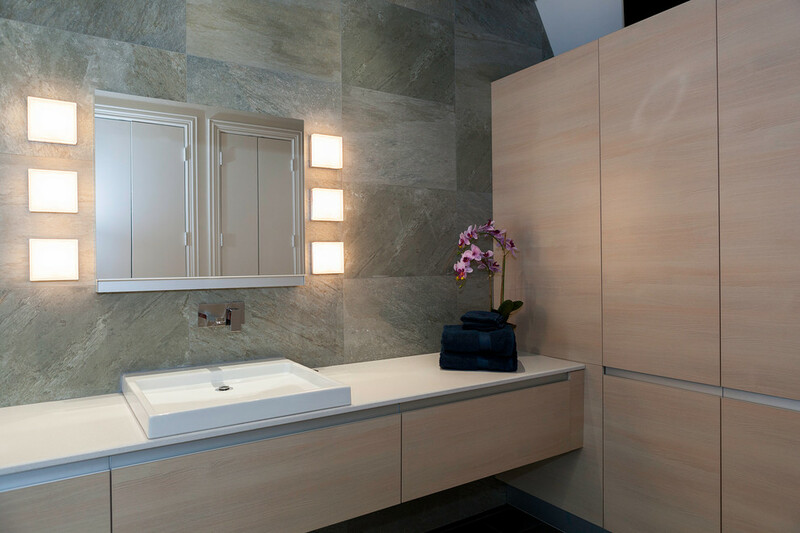 Clean lines with formal tiles complemented by earthy textures. 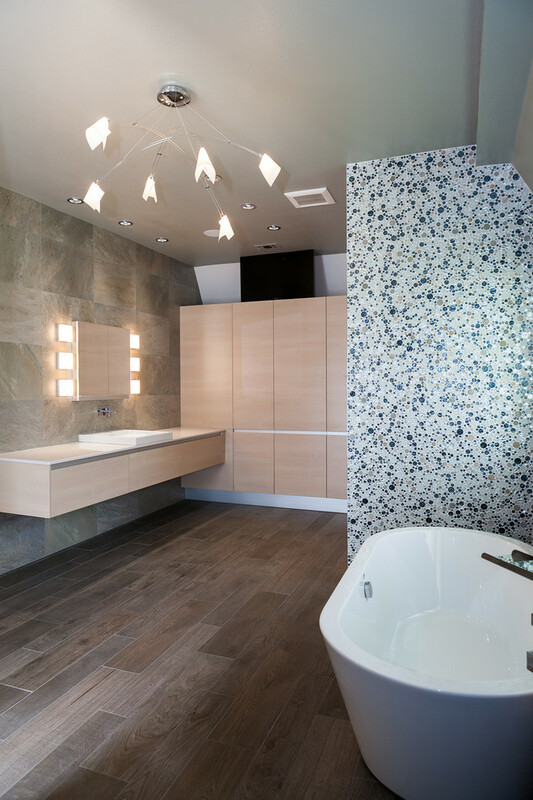 floor to ceiling large format tiles complemented with earthy floor plank tiles grounds this contemporary space to a tranquil spa element.